Set within 20 acres of Victorian parkland, the luxurious Old Drynie House is situated on the Black Isle. 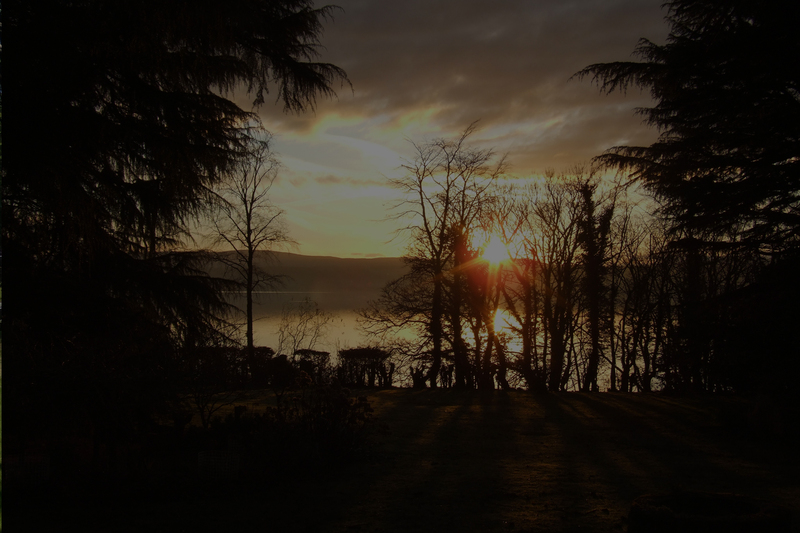 With free WiFi and free onsite parking, this traditional property is just 10 minutes’ drive from central Inverness. Each room includes a flat-screen TV, an iPod docking station, and tea and coffee making facilities. The en suite shower rooms have complimentary toiletries and a hairdryer. One room has a spa bath. Our luxury bed and breakfast accommodation offers families, couples or individuals supreme comfort and modern facilities in an idyllic setting. 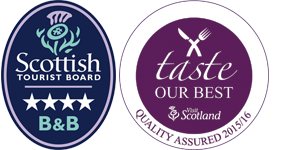 We are rated 4 Stars by Visit Scotland and hold their 'Taste Our Best' award, which demonstrates our commitment to serving quality Scottish produce prepared with care and delivered with passion. In the mornings, Old Drynie House serves breakfast in the dining room, which overlooks the garden. Full cooked dishes are prepared using locally sourced organic produce. Vegetarian alternatives are also available upon request. 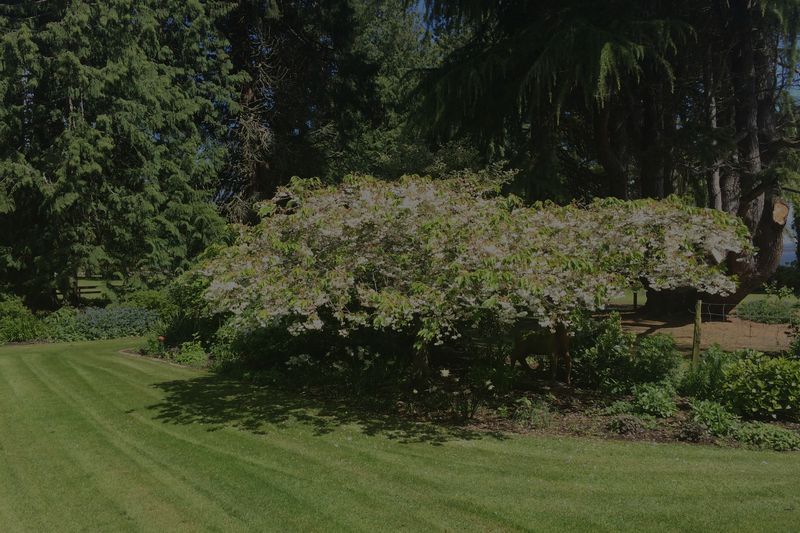 Overlooking the sea, the Old Drynie House features colourful gardens, where guests can find a wealth of wildlife, mature trees, and 3 paddocks, 1 of which is used as a golfing range. 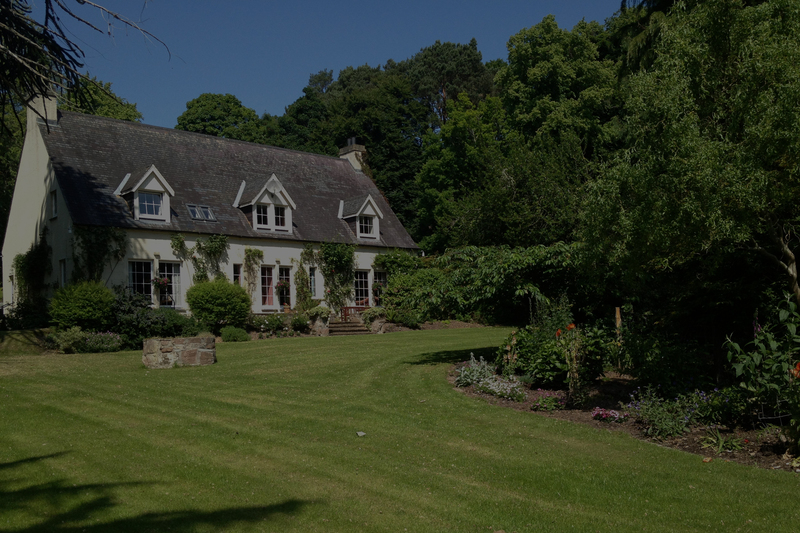 Set within 20 acres of Victorian parkland, the luxurious Old Drynie House Bed and Breakfast is situated on the Black Isle. We are rated 4 Stars by VisitScotland and boast a 9.6 “Exceptional” rating on Booking.com. We were also awarded “Luxury B&B of the Year” for Scotland by the Luxury Travel Guide in February 2016 and Bed and Breakfast of the Year (North of Scotland) at the Scottish Hospitality Awards 2018. We offer free Wi-Fi and free on-site parking. 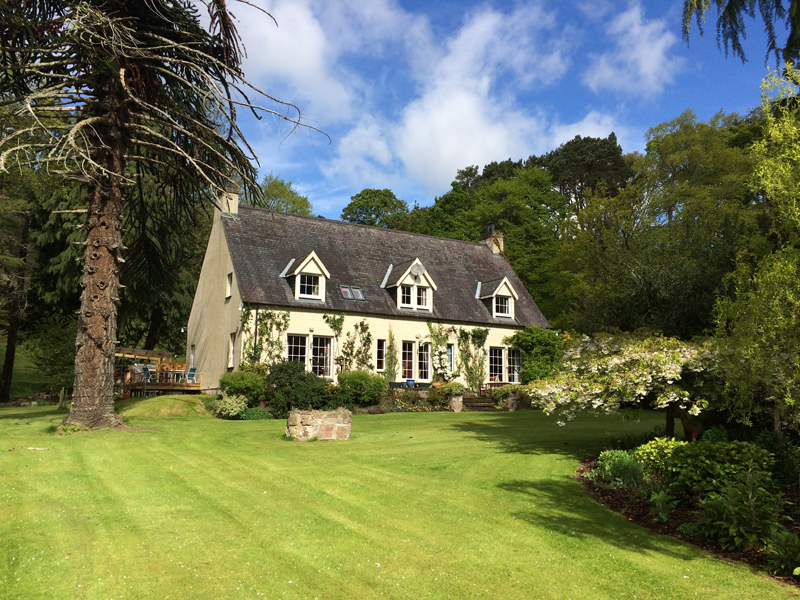 This traditional property is just 10 minutes’ drive from central Inverness, providing fantastic access to the Black Isle and Highlands of Scotland. We are also ideally situated near the start and end points of the North Coast 500. Our rooms have been designed to suit the market demand we have experienced. While we have reduced our bedrooms to four, two of those consist of Family Suites (a double bedroom, a twin bedroom for the children, and a shared large shower unit). We cater for 12 guests when full. All of our double beds are ‘king size’, and of the highest quality, as are our single beds. This insistence on high quality extends to our bedding and towels. Each room includes a flat-screen TV, an iPod docking station, and tea and coffee making facilities. The en-suite shower rooms have complimentary toiletries and a hair-dryer. The two double rooms each have a spa bath. In the mornings, Old Drynie House serves breakfast in the dining room and/or library, which overlook the garden. Dishes are prepared using locally sourced organic produce. 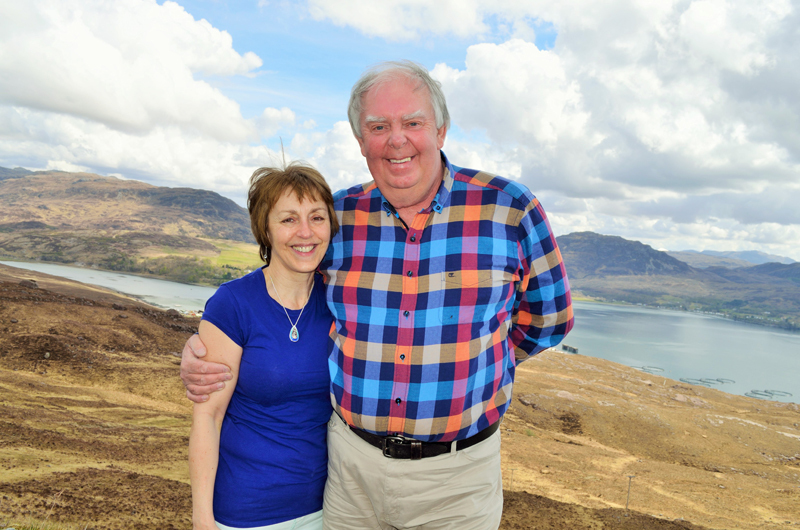 This commitment to local and our passion for food was the basis of our VisitScotland’s ‘Taste Our Best’ award. Vegetarian breakfast alternatives are always available upon request. 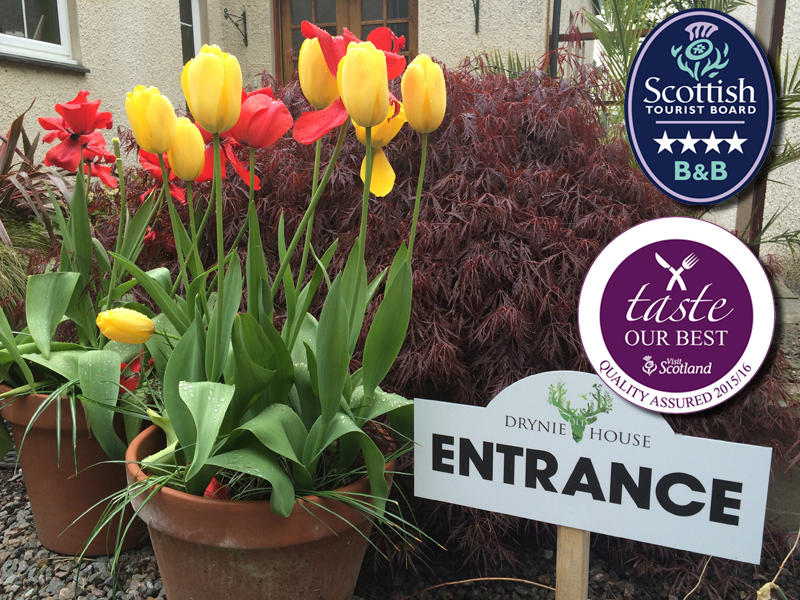 Overlooking the sea, the Old Drynie House Bed and Breakfast features colourful gardens, where guests can find a wealth of wildlife, mature trees, and three paddocks, one of which is used as a golfing range. 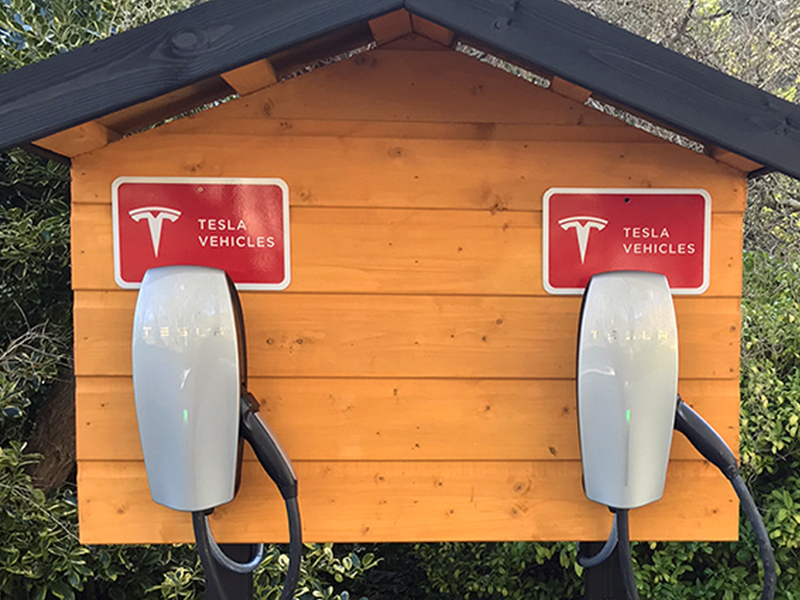 For customers who have electric-powered cars, we supply four charging points. We have also taken the time to install electric power sockets in customer bedrooms which have USB connectivity as well as standard UK power points. We welcome you to take a look around our website, or make use of the Trip Advisor and/or Booking.com reviews and resources which help give visitors even more information about us. We hope we’ll be seeing you soon!